So you’ve finally purchased a home. Congratulations! While this is an exciting time, it also may seem a little daunting to have to pay down a mortgage over the next 30 years of your life. And when you start thinking about the amount of interest you’ll end up paying on top of the principle, it may make you feel a little queasy. 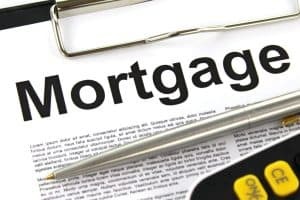 Luckily, there are a couple things you can try that will help you pay down your mortgage at an accelerated rate and result in you paying a lot less in overall interest. To show you how, here are three tips for quickly paying down your mortgage. For most mortgage payments, the schedule comes out to making one payment each month over the years. This means that your average homeowner is writing 12 checks per year to pay for their mortgage. And while this strategy will keep you current, it won’t necessarily get you to the finish line any faster. But if you just add one more payment each year, coming to 13 payments rather than just 12, Reed Karaim, a contributor to Interest.com, shares that you can chip away at your mortgage much faster. Not only will you be able to pay your debt down faster, but you’ll also end up paying less in interest, which is always a good thing. While not all mortgages or financial institutions will allow you to do this, if you have the option for making biweekly payments rather than monthly payments, this could be a great way to pay down your mortgage faster. According to Christ Hogan, a contributor to DaveRamsey.com, sending in half of your monthly mortgage every two weeks will steadily help you to wind up paying less and less in interest over the life of your loan. With the tactic, you’ll also end up making about 13 full mortgage payments each year, which can be beneficial as well. But before you try this strategy, make sure this is an allowed practice for your particular loan. Another great way to cut down your mortgage is to take any extra money you get throughout the year, whether it be from a bonus, tax return, or more, and put that toward your mortgage. By doing this, Dana Dratch, a contributor to BankRate.com, writes that you’ll be able to lower the overall amount of your loan and the interest you’re paying every time you put additional money toward your mortgage. While this won’t be a consistent way to pay more toward your loan, it is a great way to slowly lower your debt and pay off your mortgage quicker. If you’re looking for ways to accelerate paying off your mortgage, consider using the tips mentioned above to help you do just that.